Peniel Joseph tells an incredible story in this book. 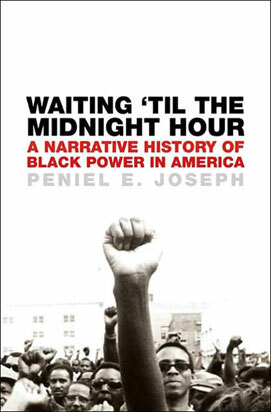 The story is about the evolution of a collection of ideas which would come to be associated with Black Power. It starts off in Harlem with Malcolm X in the early 1950s and ends in 1975 with the original Oakland Black Panther Party completely stripped down from an international revolutionary party and reworked into a local reform organization in California. In the middle are a wide array of individuals, organizations, places and ideologies but what Joseph does so well is make it read as if they were all part of the same story. To some extent telling the story of Black Nationalism, Black Communism, Pan-Africanism and many other tendencies in the same breath is a project of myth-making. Not all these thousands of people knew each other, they didn’t see their work as the same fight, they were separated by time, distance, class, aesthetics and ideas. But in some ways, myth making is what we need. We need to understand nuance, sure, but we also need to believe that history produced people and ideas that produced movements which were large, dynamic and incredible. This isn’t to say we need myths about saviors and savants, but to say we need something which will inspire our imaginations to think bigger and longer than our pragmatic minds will often let us. Much of the history in this book will be vaguely familiar to the average intellectually curious reader who has read up on the 20th century, civil rights, etc. But almost half of the people, events and groups featured in this book had never crossed my eyes. And the rest of them had never been contextualized as part of a lineage that was easy to follow and make sense of. I highly recommend this book to anyone who wants to survey left-leaning activism initiated by Black Americans and their allies between 1950-1975. This history is too rich to miss out on, dismiss, or misunderstand. Peniel Joseph takes incredible history and turns it into an incredible story.